ENLACE, a non-profit organization, helps churches in El Salvador, Nepal and the U.S. transform their surrounding communities with significant development projects. Their team of 50 members connect churches to sustainable community development projects and help partner churches with communities for mission trips and fundraising campaigns. 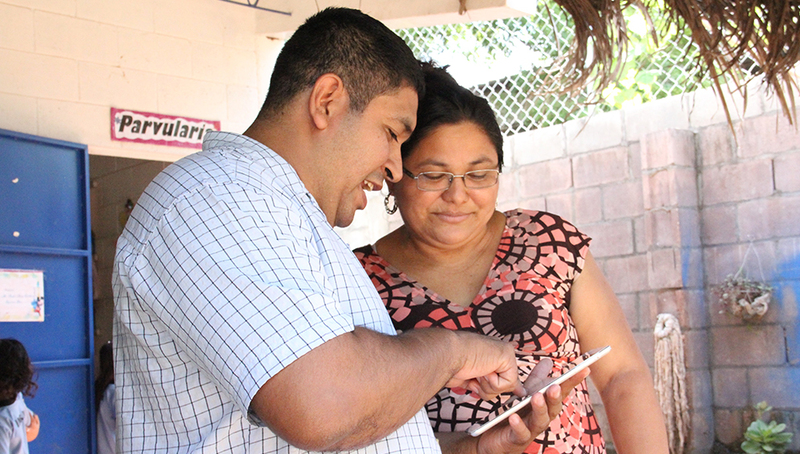 In 2016 alone, ENLACE completed 636 projects that served 217 communities, helping nearly 190,000 people. Seeing the wonderful work the organization was doing, TruQC felt strongly about ENLACE’s mission and chose to provide free access and support. ENLACE is one of the smaller groups using the TruQC app, but a perfect example of how it’s great for small companies as well as big ones. The organization has a team of four TruQC users working throughout Santa Ana, Cara Sucia and Metalio, El Salvador and the U.S. The crew utilizes the app’s customer-specific workflows to guide their projects in a more productive manner. What issues did ENLACE face before TruQC? 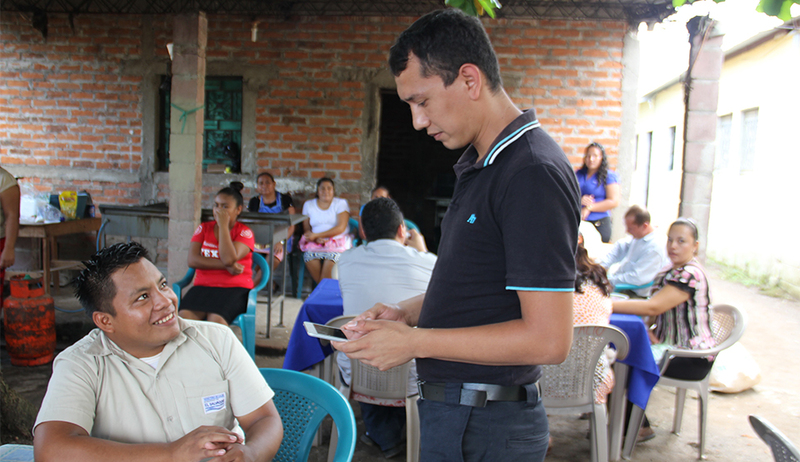 The most prominent issue ENLACE encountered was the collection and processing of community evaluation data. Original data collection efforts involved visiting each community and having exhaustive meetings with leaders in order to collect as much information as possible. Field staff would compile the collected data and send the findings to the home office in the U.S. While processing the information between the field and home office, ENLACE risked losing critical project information. Once all the information was obtained, it would be sent back to the home office in the U.S. for processing, creating gaps that increased the risk of losing imperative findings. The execution processes for each project relied heavily on lengthy reports and exhaustive communication efforts. The lack of a real-time management system slowed the implementation and completion of community improvement projects. Any delay in health, infrastructure or economic development programs can have negative impacts for those reliant on the improvements these projects bring to the community. Integration of the TruQC engine enables ENLACE to overcome these issues and deliver on its mission. TruQC’s real-time global syncing and configurable reporting capabilities allow users to quickly process immediate, up-to-date information from any location. What has changed since implementing the TruQC app? From the beginning, TruQC and ENLACE worked together to understand ENLACE’s specific business requirements and implement the app into their organization’s daily tasks. Utilizing TruQC’s flexible, adaptable software, three custom reports were created for the monitoring and evaluation of community projects. With these reports, ENLACE now takes extensive notes and photos, provides detailed analysis and completes checklists to score their work and gather metrics on their building projects. With TruQC’s easy-to-use interface, time spent on reporting is significantly decreased. Furthermore, immediate report generation means reports are ready to be reviewed, approved and sent out immediately upon completion. Using TruQC’s document management solution, ENLACE has streamlined their evaluation processes and improved the way their organization monitors projects. ENLACE users analyze objectives, strengths, self-management, costs, resources and more with TruQC reports. This gathered information is available in real-time, skipping extra efforts to transmit and process the data. Those working in El Salvador and those working in the U.S. offices are able to communicate with the same up-to-date information, resulting in a swifter execution of all projects. Projects can be approved from afar without any delay in communication. With TruQC’s real-time syncing and cloud-based software, ENLACE users can make informed decisions concerning a project – anytime, anywhere. A key benefit ENLACE takes advantage of is the ability to translate TruQC back and forth between English and Spanish. This capability, combined with the clean and professional organization of each report, further reduces communication delays and mitigates risk of pertinent data getting lost or overlooked. Helping throughout the implementation of the app was our technical support system. The organization relied on our support team to understand and use the app in conjunction with their needs. Our team is always willing to explain any step in the process, making integration run more smoothly. All in all, TruQC has helped ENLACE mitigate evaluation and monitoring issues in the field while also improving internal communications. “We think it is a really useful app that helps in our everyday reporting process and we would highly recommend it for others that are looking for this kind of support in their companies. The TruQC platform has worked incredibly well for us while implementing community development initiatives throughout rural El Salvador. TruQC makes the evaluation of our community development projects a breeze!” – David McGee, Communications and Partnership Development Director.